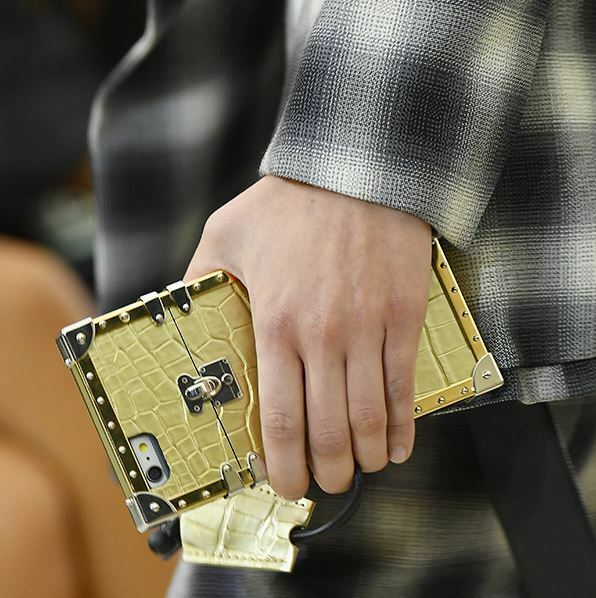 The Petite Malle trunk, Nicholas Ghesquière’s greatest contribution to Louis Vuitton to date received an update in the form of size. 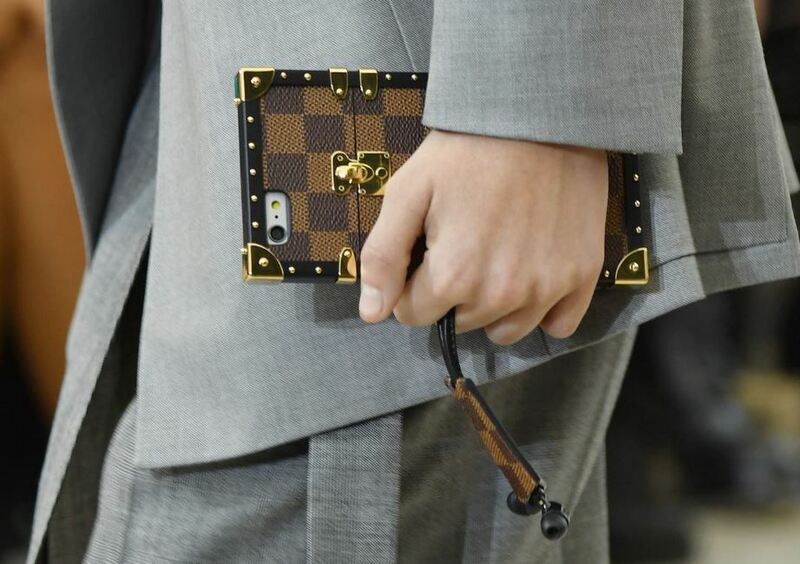 Yesterday during Louis Vuitton’s spring 2017 show at Paris Fashion Week, he introduced the mini Malle half in size – which turned out be not a bag, but a stylish iPhone Plus case. He posted a photo of himself on Instagram couple of days before the show, holding his phone in what looks like an LV branded case. His ploy to get everyone talking about it worked, many of his followers left comments letting him know that they too want one. Some dreams come true. 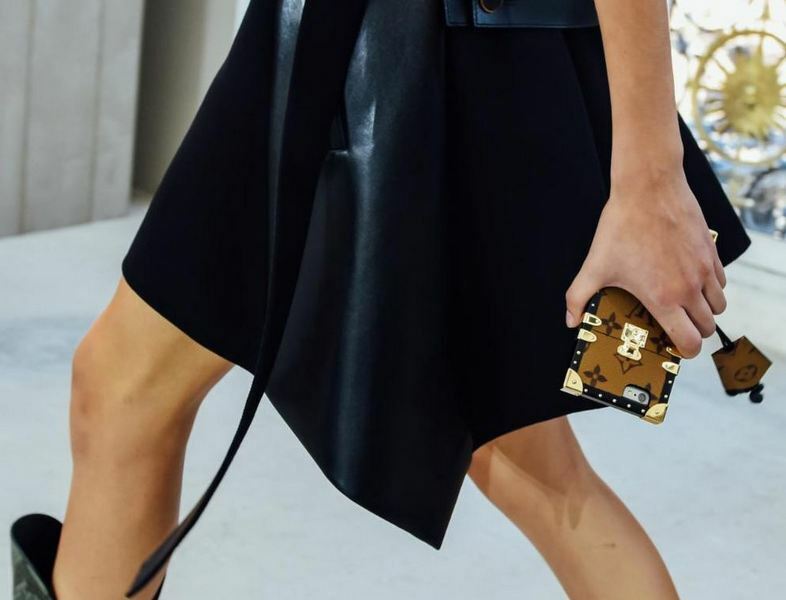 Yesterday models took to the runway holding the Petite Malle iPhone 7 Case in a variety of colors, materials, and canvases. Ghesquière’s is a dark brown case in LV monogram canvas. 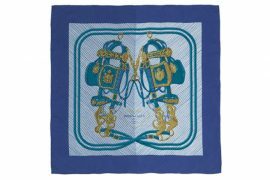 The ones he showcased yesterday included light brown LV monogram canvas, Damier print, gold crocodile and blue crocodile. Besides, trunk hardware, the case also comes with a removable key ring attachment – I think this little detail make the Petite Malle iPhone 7 Case a unisex piece. There is no word on pricing yet, as this won’t be released until spring. This is a bit too long wait for an accessory such as this, by then all the talk will be about Apple’s next iPhone. Petite Malle pricing starts at $5,200, given this is half the size might very well end up costing a couple of thousand less. 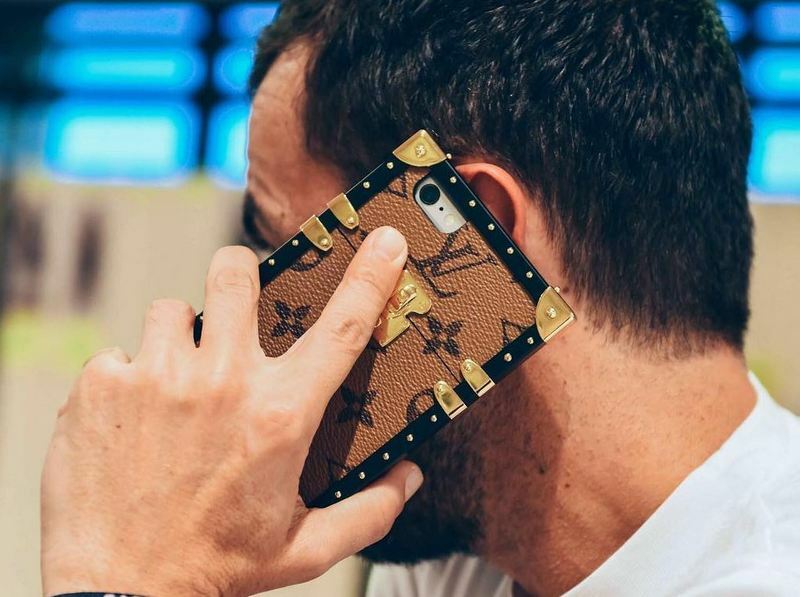 Still a steep price for a phone case, but a diehard fashionista will find a way to finance it.